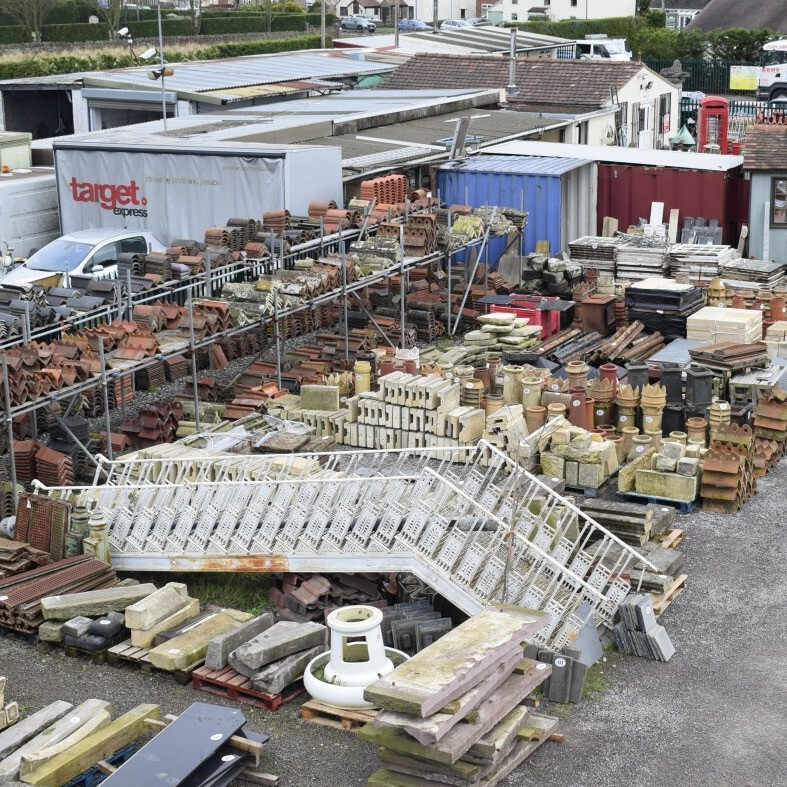 Bristol, UK - Ben Francis , owner of Bens Tiles and Reclamation, had been collecting reclaimed building materials and architectural features since his schooldays, but decided in 2018 to re-focus his business on reclaimed building materials and demolition. He therefore contacted Wellers in January to discuss holding an auction of his slow moving architectural features in the Spring and the date was fixed for Saturday 17th March. We had hoped for reasonable weather on this day , but this was not to be, as the day began with heavy snow and an icy cold wind. However none of this dampened the enthusiasm of the 60 plus buyers who attended the auction and stayed warm together in the marquee tent although they may well have envied the other 100 plus bidders who participated on-line through the three platforms available on the day and stayed warm at home. Private buyers, developers and the trade were all heavily represented and this was reflected in some good prices achieved for unusual items. A cast iron staircase salvaged from the Wills Tobacco factory in Bristol sold for £4,500, a bow-end mahogany jewellery cabinet fetched £1,500, a red telephone box realised £1,500, a decorative wrought iron well head with integral pulley fetched £780, and a rare Bryans Payramid which brought back fond memories from my own childhood made £2,000. Three lots of brass wall lights estimated at £50 made an astonishing £340 to £420 and several bidders fighting over three brass lanterns pushed prices to £720 to £900. A clay feature plaque with central maiden estimated at £100 sold to a telephone bidder for a staggering £320. Stone Troughs sold well at prices up to £400 for the better quality examples once again well above the estimated ranges of £100 - £150. There were also some lots of building materials and garden features that achieved good prices; three pallets of windows realised achieved prices of £1,000 to £1,250, doubling the estimates, and a run of 220 salt glazed rope top garden edgers made a healthy £850.